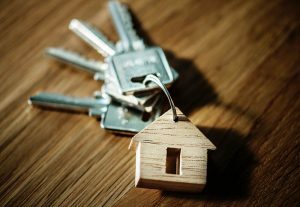 Whether you’re a first time home buyer or a veteran purchaser, going through the process of buying a house can be a difficult and daunting task. With so much at stake and a such a large financial commitment, it’s important to be an educated consumer and know what you’re in for before you embark on your home buying journey. But first thing’s first, let’s get down to the nitty gritty – what are you looking for in your next house? Whether you’re looking for an apartment or a single family home, write down a list of the basic necessities that are a “must-have” in your search. Are you looking for a yard or small patio? Do you want an attached garage or street parking? How many rooms and bathrooms does your lifestyle require? Although these may sound like simple questions, it’s imperative to get a basic understanding to lay the blueprints out of what to look for in your home buying search. But let’s go even deeper than the basics, shall we? Contrary to popular belief, there are some best-kept secrets you may not know about the real estate market. Don’t worry, The Degnan Group at Key Realty will let you in on a few. When purchasing a home, most of the time you’ll have to take out a loan. Yes, it sounds daunting, but it’s the normal set of circumstances that most homebuyers go through in purchasing their dream home. In order to make sure you get approved for your loan, it’s wise to not make any large purchases or move your money around three to six month prior to requesting a loan. Lenders love reliability and knowing the fact that they’ll get their money back. Another tip, keep those credit card bills low and erase your debts! So you’ve found your dream home, but unsure of where your property borders are – make sure to get a survey done. Knowing the exact lines of your property will prevent any future disputes with your neighbors or town if you’re looking to renovate. Also, property tax is based on how much property you own, so having an accurate map drawn up is essential in being a knowledgable homeowner. There’s an old wives tale that buying is best in the warmer months. False. The real market is constantly listing and selling new properties despite the season. Avoid trying to anticipate when the market will be hot or cold, low or high. The best time to buy a house is when you’re ready and you can afford it. Yes, the market is cyclical, but it’s almost impossible to find the perfect time to buy and sell – it’s all luck. As a society, we’re drawn to the best and biggest things. But in the real estate market, that old saying doesn’t always add up. The bigger the house, the smaller the potential for resell as it’s likely more expensive and requires more upkeep and maintenance meaning a lesser pool of interested future home buyers. Thinking that your house will be more valuable because it’s bigger is false – your home’s value is directly related to its corresponding neighborhood. So give the smaller houses a chance in your home search, you won’t regret it in the long run. Speaking of neighborhoods and corresponding house value, this is one of the most important tasks to be done in the search for your dream home – stalking the neighborhood. Take a drive by during the day and night to your future community to see if you can imagine yourself living there. Is it safe? Are the neighbors nice? What schools would your kids attend? Is it near a grocery store or other convenient places? Knowing what type of community your dream home is in is imperative in the buying process and is a make a break for most home buyers. At The Degnan Group at Key Realty, we understand that finding your dream home can be stressful. That’s why we made it our mission to help find the best home for you and your family. We are constantly updating listings to provide you with the most accurate and up-to-date homes available. For the most professional and knowledgeable realtors in the area, contact The Degnan Group at Key Realty.